Advance Tickets $15, Day of Performance $18. 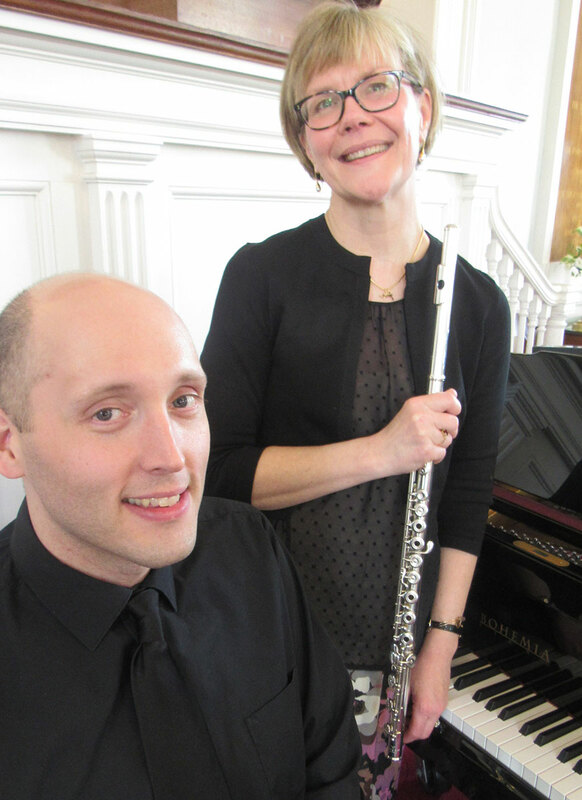 Performing throughout New England, Ms. Stroud on flute and Mr. Odell, pianist have quickly established themselves as provocative and colorful duo partners in presenting the richly varied chamber music written for flute and piano. Coming together in 2013, they have performed the complete chamber works for flute and piano written by French composer Michel Merlet, as well as having performed the works of many other living composers, including Philip Lasser, Ned Rorem and Pierre Boulez. Their playing noted individually as “brilliant” and “beautiful,” and their programming together as “impressive,” they have a shared commitment to bringing the deeply compelling, lyric nature of the music of our time, alongside treasured works of the established repertory, to a wide array of audiences.